The great thing about an auto show is that you get to see the high-end luxury vehicles you would normally rarely spot on public roads. This year, SUVs are of course all the talk, and in Montreal, three all-new utility vehicles from Lamborghini, Rolls-Royce and Jaguar are on display. At Lamborghini, the big show stopper this year isn’t a car, but the Urus, the brand’s new SUV which has already begun filling up Canadian showrooms. 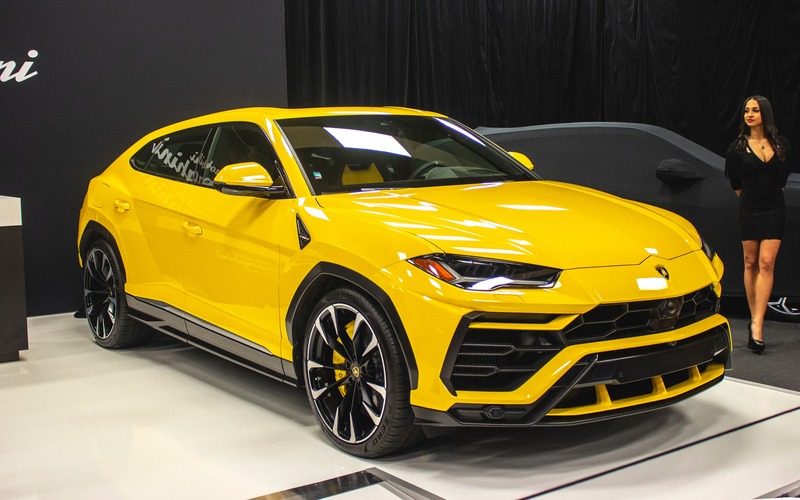 Powered by a twin-turbo, 4.0-litre V8 good for 650 horsepower, the Urus can propel its 2,200-kg carcass from 0 to 100 km/h in only 3.6 seconds, and will keep thundering down the road to a claimed top speed of more than 300 km/h. All-wheel drive comes standard, of course, as well as an adjustable air suspension. There’s also just enough cargo space for two golf bags. Starting at $232,000, the Urus is indeed a nice toy for the rich. Like Lamborghini, Rolls-Royce also welcomed a new member to its lineup this year, but unlike the raging bull, this one puts the emphasis on comfort, luxury, and exclusivity. It’s called the Rolls-Royce Cullinan, and its name is inspired from the large diamond ever to be discovered yet. It shares its V12 engine and platform with the Phantom sedan, and pumps out no less than 563 horsepower. If you find that Lamborghini expensive, hold on to your chair. The Cullinan stickers for $401,000 and up. So, you might as well head straight to the show to check it out, because at that price, your chances of spotting one on the road are slim! Out of all the carmakers out there, who would have thought Jaguar would be the first true Tesla competitor? While very cool, does the I-PACE have what it takes to lure Model S and Model X customers into a Jaguar showroom? It’s certainly an appealing alternative. With a promised range of 386 km, and a starting price of $85,500, the 2019 Jaguar I-PACE is actually a steal next to that Lamborghini and Rolls-Royce. Like the two other vehicles on this list, the I-PACE will be on display at the 2019 Montreal International Auto Show, from January 18 to 27.